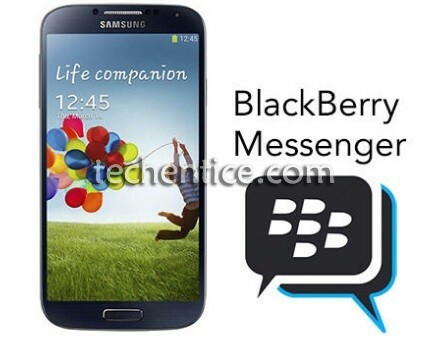 Thought of ever experiencing BlackBerry Messenger (BBM) on non-Blackberry devices? Now you do not need a Blackberry handset to use the BBM. Blackberry has announced long back that they would be opening up their BBM platform to other systems such as Android and iOS. Samsung has come forward to this venture and according to a Samsung press release, it will make the BBM app available on the app store for Galaxy devices in the coming days. BBM will come pre-installed on all the Samsung’s Android devices. The BBM app for Android is now in a closed beta testing stage and it will be available in the Samsung app store on the day it is launched. But the app will not be available for the customers worldwide since this is only aimed at Africa as of now. Blackberry has taken this step as Samsung is the leading Android manufacturer in Africa reports say. Users in other parts of the world will have to wait for a while before they can get the BBM app on their Android and iOS devices. BBM will also be available on Google Play for Android phones. However, it is a bit surprising to see BBM moving out of its shell and moving to other platforms other than Blackberry. The BBM service was first of its kind which allowed the users to chat without any cost from the carriers. After that many similar apps have flooded the market but none have been so secure or rich in features like the BBM. But again these new messaging services have become so popular with people that the BBM seems to lose its glory. With the Canadian company’s struggle for quite some time now, with a long delayed OS, unimpressive devices and strong competition from its rivals has most probably forced Blackberry for this new venture. So, this new marketing partnership will help the BBM family to grow.